You worked out the job spec, interviewed a range of candidates and settled on your choice of hire – someone who excelled in the interview perhaps or maybe looks all kinds of perfect on paper at least. But there’s a possibility that you made the wrong hire. And that could be disappointing, a waste of time, and expensive. Feeling like you might have made a mistake in your choice? Before you go to the trouble of signing a contract, we’ve got a list of signs that will have alarm bells ringing, help you identify a possibly disastrous fit, and maybe give you time to pause… all before making a hiring misstep. They spend time bad-mouthing their old company. Speaking badly of their previous workplace is a habit that will probably reveal itself from the first interview with a candidate. If they are perfect in every other respect, you might want to overlook their need to bad-mouth their previous employers, but this kind of attitude is an important indicator of the candidate’s attitude to work overall and their take on professional conduct. In a few months, they may end up doing the same to your business. No matter how great their credentials, an employee who isn’t a team player, who doesn’t look for the best in their work, isn’t as valuable to your organisation as you might think. They don’t ask any questions. Speaking of interviews, a successful interview should really be a two-way interaction. As much as you are scrutinising a potential hire, they should be showing an interest in truly understanding your business, organisational requirements, and what you are looking for. Questions not only show that the candidate has a genuine interest in your business and in landing the job, they can show you if the candidate has bothered to do some substantial research into your organisation and know the basics. Your work styles don’t match up. No matter how good a candidate looks on paper, the way in which they interact with you, other members of your staff, and what they say about their work style can give you a good indication of whether they will actually fit smoothly into your team. For example, they might like to work in a team while the members of your staff are used to independent roles or they might prefer to work varying hours in line with their home responsibilities, but you expect your staff to be at work at certain times, within a specific structure. Credentials and experience are important but personalities and expectations about work carry a lot of weight when it comes to hiring the right match for your business. They push on every front. While it is not uncommon for a strong candidate to try and negotiate or change the terms of the proposed contract, take a pause if your favourite candidate is asking to negotiate on every front, from salary to working hours to duties. Asking for too much too soon can be a sign that the candidate will never be truly happy with what is on the table. Gut feelings. This might seem a bit lightweight, but the truth is that your gut has a lot to tell you about a potential new hire. If you know your business well, you will also understand what kind of hire will work for you. Feel drained when you talk to this candidate, feel uncomfortable or awkward in the way in which they speak to you or relate to others? 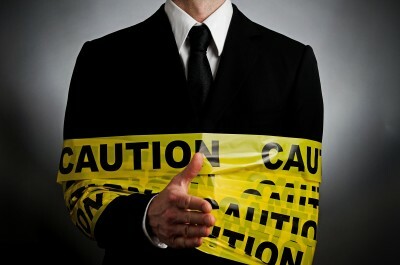 Don’t ignore these warning signs – they are strong indicators that things might not go well in the future. Already made the wrong hire? Read this. Need to make sure you avoid the most common mistakes when hiring new staff? Talk to us! With over 40 years’ experience in recruitment across the supply chain, logistics and travel industries countrywide, Lee Botti and Associates are expert recruiters. We work with only the best consultants and are dedicated to superior customer care and candidate assistance. Let us help you find the best possible candidates for your business. Just let us know who you are looking for and we will handle the rest.